We’ve heard that saying, “the jack of all trades and the master of nothing.” That certainly doesn’t apply to this terrific woman. 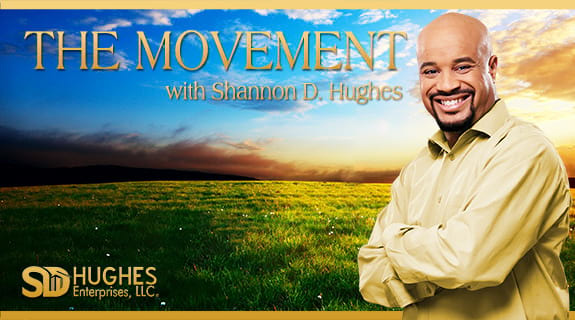 On the next episode of The Movement, host Shannon D. Hughes talks to Lauren Solomon. He is a highly sought after woman in business. She is a world renowned speaker, author, coach and top image consultant. Lauren will talk about her journey and how she took her many talents to help people learn the art of being “your very best self. Lauren has lived a charmed life across the globe amidst amazing family and friends. That foundation empowered her to walk away from a successful corporate career into a world that married her talents and her passions, to help others show up in the world to attract and achieve all they desire and deserve. Since then, the opportunities, the ups and the downs have been many. Every one has led to her being here today. Often painful; overwhelmingly GRATEFUL!!! Lauren is the trusted image advisor to CEOs, corporations and individuals worldwide, as well as an internationally renowned speaker, author, coach and media personality. Her clients cross every continent and industry, from Disney to AmEx, Bulgari to Pfizer. Ms. Solomon is the former Vice President of Professional Image Development at Chase Manhattan Bank; creator of the professional skills workshop, The Brand Called Me, at NYU’s Stern School of Business and Past President of the Association of Image Consultants International (AICI). She is the resident image expert for Career TV and the Lifetime TV series, Remake My Life; and the author of Image Matters! (celebrating it’s 10th Anniversary Edition) and co-author of #1 Best Seller The Law of Business Attraction and Executive Image Power.